This is the most breathtaking viewpoint in the park. 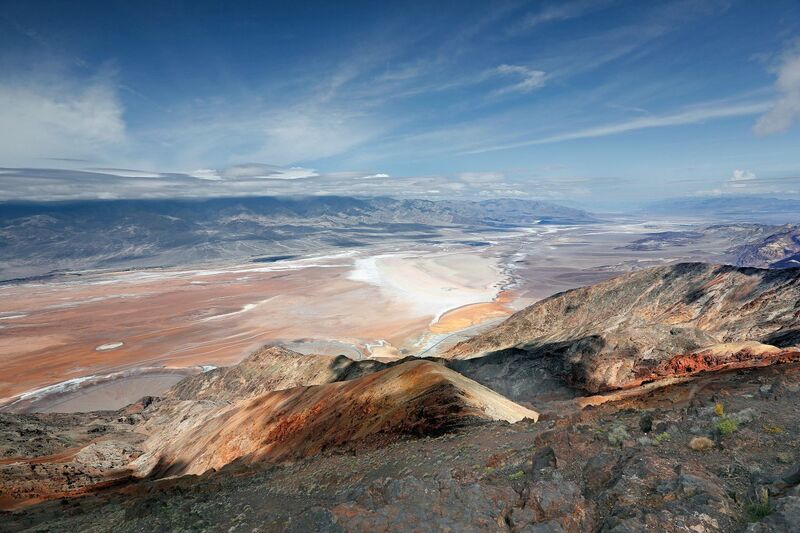 This mountain-top overlook Dantes View Death Valley is more than 5000 feet above the valley floor which stretches out below for 110 miles. It towers directly above Badwater and you can get glimpses of the road snaking below.